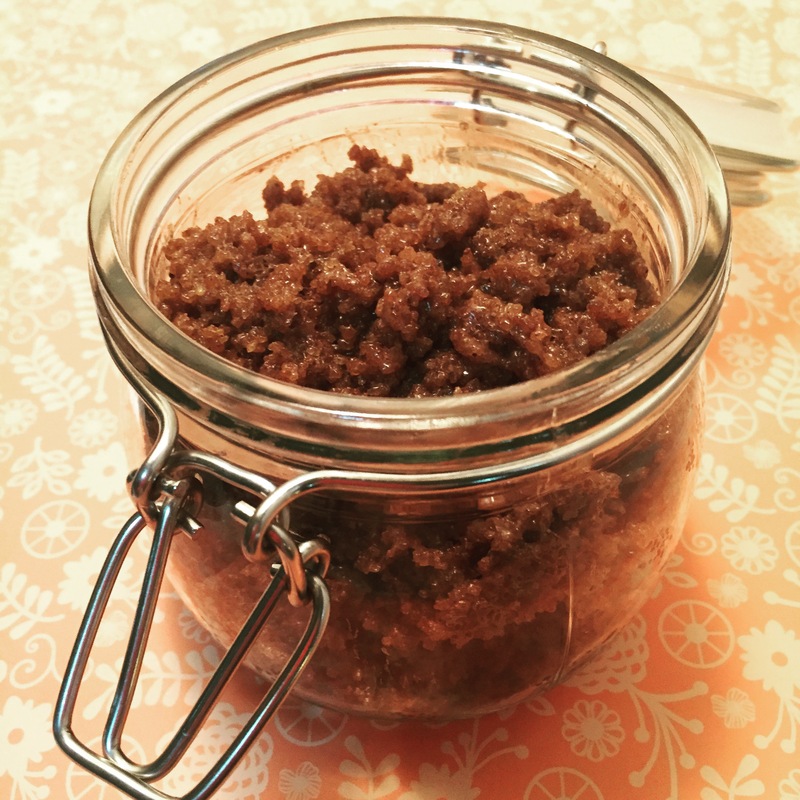 Sugar scrubs are super easy to make and often, you’ll already have all of the ingredients on hand. If not, everything can be found with a quick trip to the grocery store. I love how sugar scrubs make my skin sooo soft and with the added oils, it’s a great way to keep skin moisturized. Hint: If you’re going to be going out for Thanksgiving dinner, feel free to double the recipe to create a lovely hostess gift! Mix the sugar and spice together with a wooden spoon. Add the oil and stir until well blended. * You can prolong the shelf life if you do not get water inside the scrub. Since there are no preservatives, care should be taken to avoid water getting inside as little nasties can grow with the addition of water. I put a scoop of the scrub in a little plastic container that I can bring into the shower with me to avoid getting water inside the scrub. I’m sure you will love it, it smells so amazing! Seriously. The warm spice scents wafting around you are just so yummy. When you make it, let me know what you think! 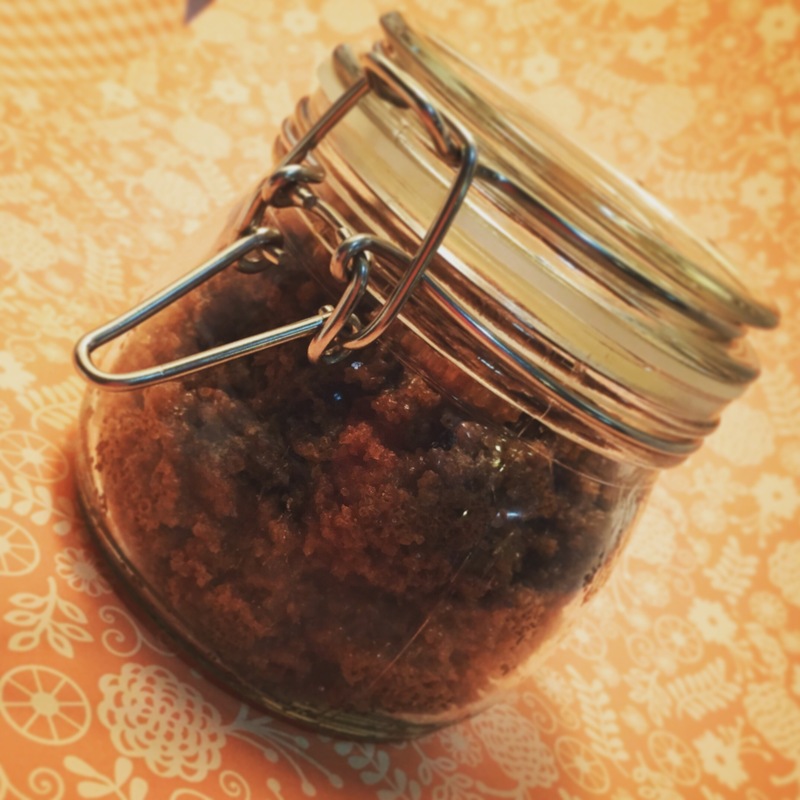 This entry was posted in My recipes, Skin Care Recipes and tagged appreciation, create, DIY, gift, gift idea, handmade, sugar scrub by A Little Soapy Business. Bookmark the permalink.